Surrounded by crying, kicking, and tantrums it finally dawned on Robert and Jim, “we can do this”. As they walked through Disneyworld with their nieces and nephews in tow, amongst the breakdowns and tired parents, it became more and more clear that if other people could manage this sort of loveable chaos then so could they. 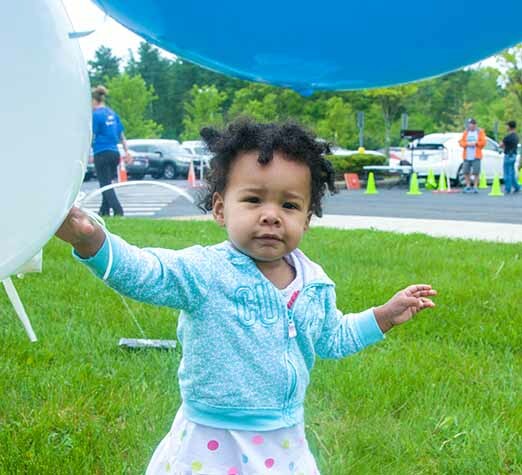 Adoption had always been a topic simmering on the backburner, but this realization finally pushed it onto the couples’ radar screen and when they returned home to Massachusetts they set the ball rolling. 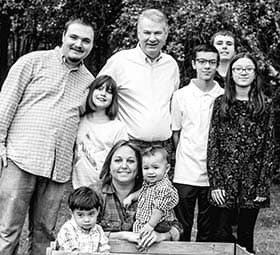 When it came to starting a family, Robert and Jim knew they wanted to adopt a child from foster care. 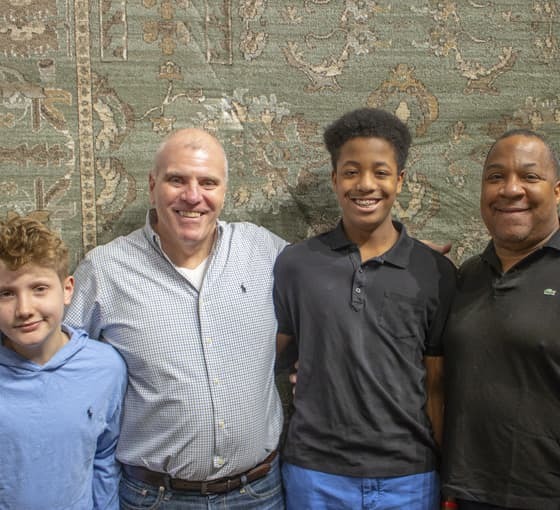 Robert had been adopted himself and the couple was specifically interested in welcoming an older child to their home and family. They were introduced to MARE through a supportive case worker and immediately began perusing the MARE website, nervously browsing through profiles of waiting children, and pretty soon they were attending MARE events. In February 2010 it was at one of MARE’s adoption parties that they were introduced to a seven year old boy named Michael. Michael was putting together an apartment building of sorts made of marshmallows as the couple nervously approached. The three of them sat down together to work on the building and by the end of the party Robert turned to Jim and told him, “That’s our son.” It was a confident statement at a time when there was no guarantee that Michael would end up a part of their family. There were a few bumps in the road, including a disclosure meeting that the couple accidentally ran two hours late to, and plenty of waiting for confirmation. By the end of the year Robert’s intuition proved to be correct. One of the first outings the family of three attended together, after Michael moved in, was an event hosted by the Institute of Contemporary Art (ICA) in Boston. The event featured professional cliff jumpers and high divers flinging themselves gracefully off the roof of the ICA into the Boston harbor while a stunned audience looked on. As the three of them stood together and watched in awe they could not have known that two years later they would be standing in that same audience in front of the ICA as a family of four. About a year and a half after adopting Michael, Robert and Jim felt a familiar tug again. They listened to their shared feelings of wanting to grow their family of three and began looking once again towards adoption. This time, the more experienced Robert and Jim were approached by their previous supportive caseworker about a seven year old boy for whom the caseworker believed the couple might be a good fit. The seven year old boy this time around was Robbie and once again Jim and Robert just had that deep knowing feeling that they had found another son. The couple had an extra step in adopting their second son; breaking the news to Michael that he would be a big brother. The official announcement to their eldest son came in the form of a personalized card. As Michael opened the card and saw a photo of Robbie placed inside, the future of his family changed forever. He was first and foremost shocked, which was followed by excitement and nervousness just as any older sibling would be. “I’ll never forget it was June 25, his last day of school and he moved in with us with all of his belongs”, reminisced Robert. Robbie moved in with the family on his school year, a mere six weeks after meeting Jim and Robert for the first time. Not too long after, the family ended up back in front of the ICA at the same event which had coincidentally been a first outing after Michael moved in. This time as they looked on at professionals hurling themselves off the roof of the museum into the harbor below; they were once again a new family. Success for them has changed over time as the family of four is now taking on the teenage years. One question they have received frequently through all this time though is the question of being two fathers and how children respond to them wanting to adopt. Their answer remains the same after all these years, “We tell parents at the end of it all what matters to these kids is being in a safe, loving family where they will be cared for. They don’t care what that looks like”.